Occurs sparsely on the island group. 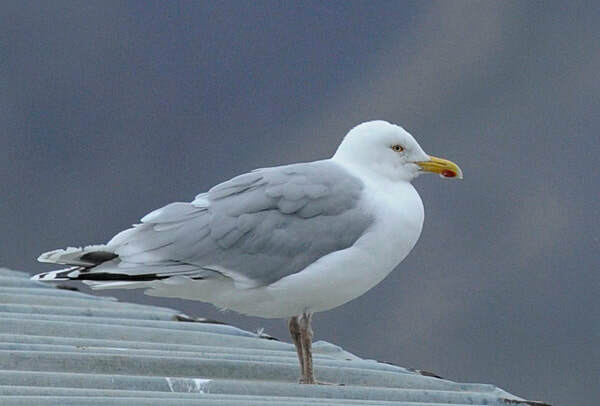 Has also been found hybridising with Glaucous Gull with successful outcome of breeding. The population is of more than five pairs. Features: 55-65 cm. ♂=♀, but the male is larger and bulkier. There are great differences in the plumage of the different age groups. Calls mainly around the nest site. The call resembles that of Glaucous Gull. 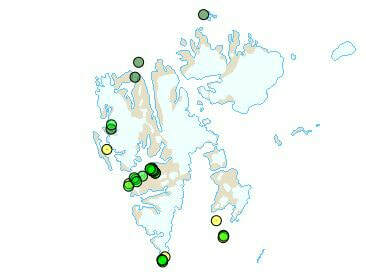 ​Breeding: A few pairs nest on Bjørnøya and it has been found breeding at a few other localities in Svalbard (Sørkapp, Bellsund, Tusenøyane and Isfjorden).